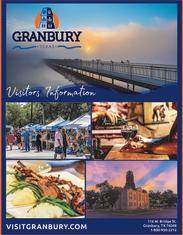 If branded, convenient hospitality is your style, look no further than the many hotels all centrally located in Granbury. Whether you’re ordering room service from a lakeside suite, or simply laying your head down after a busy day, there are plenty of hotel accommodations to fit your need and budget. All of these properties are easily accessible to Highway 377 and the Historic Granbury Square. Four of the hotels in Granbury have heated indoor swimming pools - making them the perfect spot for family getaways in the colder months.